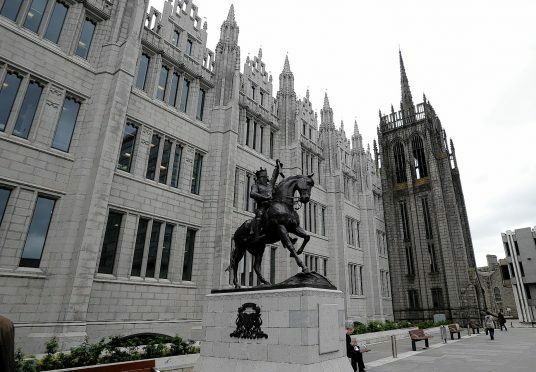 A new “proactive push” will begin for Aberdeen council bosses to buy back former council homes. The ambitious scheme will aim to reduce the 6,000 strong waiting list and also save the council money on building new homes. Council leaders previously announced plans to invest £250 million with proposals to build 2,000 new council properties. Under the new plans, people selling former local authority houses – that meet certain criteria – will be urged to contact the council to see if they can sell them back. Council officers will also contact sellers. Flats in high rises can prove particularly difficult to sell on the open market. But members of yesterday’s city growth were told that there would be no “bidding wars” for properties and that the council would only offer market value. Council leader Jenny Laing said that added publicity would help boost the scheme – as many people were unaware that the local authority would consider buying its old stock back. Finance officer Steve Whyte said that the new policy would give the sales “a push” and they would take a “proactive” approach. During the debate it emerged that the local authority was still selling some houses off under certain circumstances. The committee were told around six a year had been sold in recent years, and some were currently being considered for sale, but it usually required approval from ward councillors. This is despite the end of the controversial right to buy scheme in Scotland in 2016. SNP group leader Stephen Flynn said he would seek to end the policy.